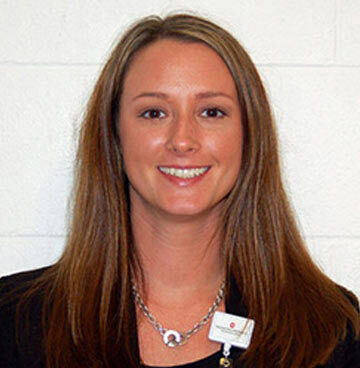 Allison D. Stokes is a graduate of The Ohio State University (OSU), having completed a bachelor’s degree in Allied Health, specializing in Radiologic Technology. Upon graduation, she was employed by Nationwide Children’s Hospital in Columbus, Ohio. She gained tremendous experience working with a diverse population of both pediatric and adult patients. After working as an imaging technologist for 3 years, Allison was promoted to the Lead Fluoroscopy Technologist position where she developed even more specialized clinical and management skills. She is currently the program manager and radiography clinical coordinator for the Radiologic Sciences and Therapy program at The Ohio State University. Allison is a life-long learner and is currently pursuing her Masters of Science degree with a focus on education and management. Allison enjoys working with students and being an ambassador for the imaging profession. She is an ARRT certified radiographer, an Ohio licensed radiographer, and an active member of ASRT, OSRT, and AHRA.